French road equipment manufacturer Fayat is set to gain a stronger presence in the Indian market with a wider range of offerings following its recent acquisition of Dynapac from Atlas Copco. Jean-Claude Fayat, CEO - Fayat Group, Jörg Unger, President - Fayat Road Equipment Division, Paul Hense, President - Dynapac GmbH, and Abhijit Som, Vice President - Aftermarket, Dynapac, discuss with NBM Media the company's plans for India, during the inauguration of Dynapac Road Construction Equipment India Private Limited's new production facility at Phulgaon in Pune. Fayat is providing complete solutions for road construction, and now has two competing businesses – Dynapac and BOMAG - within its fold. What synergies will the two companies bring to world markets? With Dynapac and BOMAG we have widened our product offerings to customers. Dynapac will bring with it, premium products and an enhanced level of product support and services by Fayat Group. The two business entities will complement each other with their respective product portfolios. With Dynapac, we will incorporate advanced standards based on our in-depth research and development capabilities. We plan to make the machines more intelligent, which will be a significant differentiator as it will ensure their higher utilization and uptime, and thereby more productivity for the customers. In view of Fayat's stringent quality standards, how will it meet the Indian market's growing preference for technologically advanced equipment vis a vis its price sensitiveness and strong competition? The Indian market is price sensitive, no doubt, but we are seeing a growing preference for advanced solutions that deliver higher productivity. We can assume that India is now next to China, and even some advanced market, in technology adaption and utilization. We are also seeing a spurt in demand for customized/premium product support services from customers. We realize that India is a value for money market, and to address the cost issue, we listen to our customers and have made the required modifications in the product line at our new facility in India. This however is done while maintaining the global Dynapac design principal and the product base or platform will remain the same. For instance, our single drum rollers have been designed as per the market requirement. Products manufactured at our Indian facility will also be exported to global markets so we will maintain a uniform quality standard across all our product lines. Any plans for setting up a R&D center in India for developing equipment as per the country's site conditions? India is an important market for us, and we are in the process of setting up a complete R&D centre in Bangalore. Called Fayatec, it will be operational very soon, and will have about 100 engineers. The centre will be instrumental in carrying out product modifications and upgradations in our compactors and pavers in consultation with our Competence Centres in Sweden and Germany. Fayatec will be also used by other Fayat companies. What intelligent control systems/high-tech digital solutions does Fayat provide in its equipment? Our machines are equipped with several intelligent solutions based on IoT for surface preparation, for harnessing data on utilization and productivity, to help towards preventive and predictive maintenance, etc. A key IT-enabled solution is the Fayat Mac-Manager, which arrests production losses. Such intelligent solutions give us a competitive edge, besides which, we provide operator training, equipment maintenance, and process optimization through the right equipment and site planning. All of this enables our machine owners to get a decent payback on their equipment. Do you plan to broaden your asphalt batch mix plant offering in India, as there is demand for both premium and economical plants that deliver efficient solutions and high productivity? Presently, Fayat Marini has one manufacturing facility for producing asphalt batch mix plants. As there is growing project site requirements in India, equipment users are looking for more energy efficiency, quicker set up time of the plant, and higher productivity. In view of this, our plant is designed to be modular, easy to transport and install at site. We are focusing on stationary and RAP-enabled plants. For delivering the committed rated output, we are providing training on efficient operation of the complex systems of our asphalt batch mix plants. How does Fayat plan to garner a greater market share in India? We are present in India with our Marini, Secmair (road maintenance), Dynapac and BOMAG brands of equipment, besides which, we are making capacity addition at our manufacturing facility, launching new products, and strengthening our distribution network. 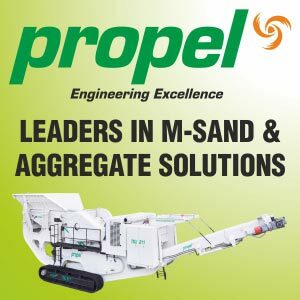 To garner a larger market share, our foremost strategy will be to make innovations in our products and across the value chain so that our machines become completely attuned to the application requirements as per Indian jobsite conditions. We will further enhance our product support initiatives for optimal performance of our plants. We will also bring synergies and unique benefits to our customers, meeting their needs along the road life cycle. What trends do you see in the construction equipment sector, worldwide? Based on our business presence across varied geographies, we have found that demand is stable in Europe, still growing in the USA, while South Africa, Middle East and South East Asia have been witnessing sluggish demand. Russia and China are also showing negative demand. However, India has been an exception, as demand for construction equipment, especially for road construction, continues to be robust due to the Indian government's plans to build numerous roads and highways across the country. What synergies will Fayat bring between the Indian and French work cultures? The highly skilled Indian workforce at our plant together with the professional acumen of our marketing and product support team members, will bring a synergy in the working cultures of the two countries. Our aim is to drive optimally the operating and maintenance practices of the users of our advanced machines.